Classic style for the modern jetsetter. Looking for the ideal travel companion that’s hardy, durable and stylish, but doesn’t cost upwards of $200 per case? 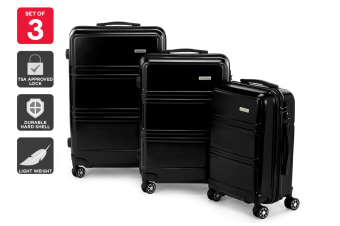 The search ends here with the Orbis 3 Piece Kuredu Spinner Luggage Set. With three included sizes fit for any adventure, big or small, four spinner wheels to glide easily through airports and a durable polycarbonate hardside shell to protect your belongings, the Orbis 3 Piece Kuredu Spinner Luggage Set takes the stress out of travelling. With multi-directional 360° spinner wheels and a retractable handle, you can push, pull and maneuver in tight and busy spaces like airports with minimal effort, while reducing the risk of strain to your upper body. The Orbis 3 Piece Kuredu Spinner Luggage Set is built to endure many years of travel. Fitted with an impact-resistant hardside polycarbonate shell, these cases keep your fragile belongings safe without succumbing to cracking or tearing from continued use. Plus, the interior features zippable partitions with tie-down straps for easy organisation and support for your clothing during travel. 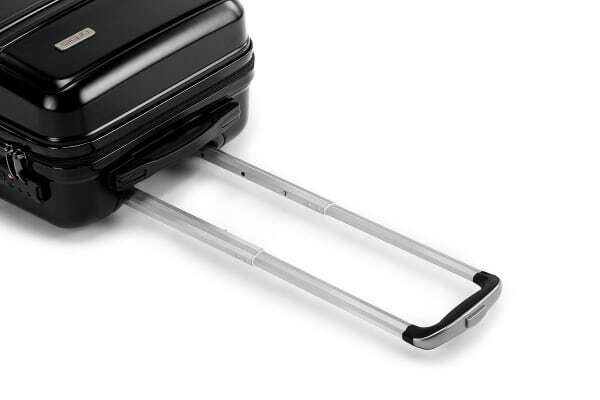 Each case features a TSA approved lock, certified by the Transportation Security Administration agency, to keep your belongings secure in transit while allowing airport security to check your luggage without damaging your property. The Orbis range also uses durable, high-quality YKK zippers. Designed by the largest zip manufacturer globally, these zips smoothly align without jamming, breaking or easily coming off-track.